And we're here to help kick off your holiday season. The trees are decorated, the stockings are hung and the carols are playing. Oh, and don't forget about the cookies! So many shutters ... blue, green and red. 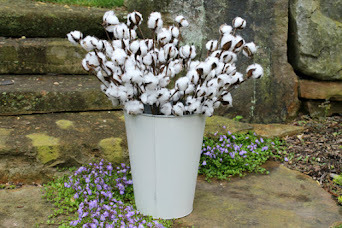 We have a wonderful selection of ready-to-go gifts, ornaments and sweet vintage décor! 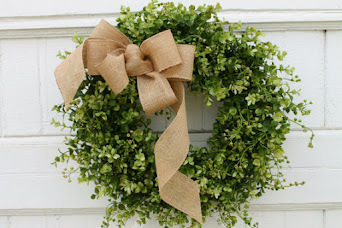 Simple boxwood wreaths are perfect all year round! Brian Watkins now has wrapping paper to match his greeting cards! And check out these darling little gift bags! These candles are so cute! Grab an ornament right off the tree! Santa certainly has a twinkle in his eye! Your store is amazing. Thank you for sharing.